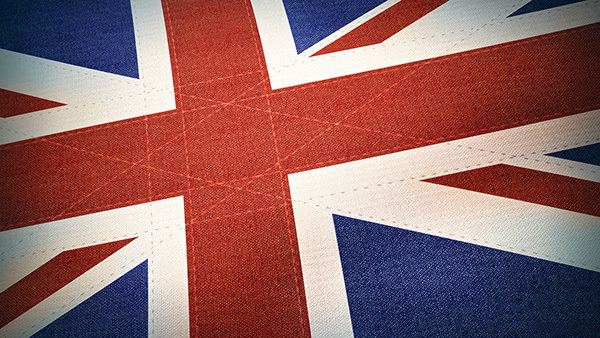 Diversified Growth Funds: Another British Invasion? It remains to be seen if Britain's newest financial innovation, diversified growth funds, will survive a trip across the pond. From the BBC to the Beatles, Britain can lay claim to some of the world’s most popular exports. It remains to be seen if its newest financial innovation, diversified growth funds, will survive a trip across the pond. Diversified growth funds, inevitably abbreviated to “DGFs,” have surged in popularity in Britain. In 2012, assets in DGFs in the U.K. grew from &pound;20 billion to &pound;50 billion (or roughly $33 billion to $82 billion), according to a white paper by Clear Path Analysis. Mercer, the consulting firm, estimates that DGFs now hold more than $250 billion in assets globally. Indeed, some of the best known DGFs have recently been closed to new money, according to Clear Path. Still-hungry DGFs, however, may decide to invade our shores, which is reason enough to find out what all the excitement is about. DGFs have been marketed as “new generation” balanced funds. Instead of the static 60% equities/40% bonds asset allocation model of traditional balanced funds, a typical DGF might also include positions in the euro, a macro hedge fund, some private equity, junk bonds, loans, derivatives and real estate, according to FE Trustnet, which provides data on fund and equity prices. As the marketing literature puts it, they are designed to deliver equity-like returns over the medium term, say, three years, with lower risk. How? By letting the DGF manager zip in and out of asset classes, “dynamically rebalancing” the portfolio as he or she sees fit, often using derivatives that allow them to move quickly and cheaply. Instead of trying to identify and vet managers of these specialty funds or paying a consultant to do it, pension administrators can turn the job over to the DGF manager. The idea is to make money by finding fresh sources of income, and above all, to not lose money. This might sound like old wine in new bottles. After all, investors can already diversify using multi-strategy hedge funds. What’s novel about DGFs is that they take over the entire responsibility for performance from the investor. To illustrate, let’s say you hire a delivery service to transport a package from Los Angeles to New York. You don’t care how it gets there—trains, planes or automobiles. You don’t even care that it gets there fast. You just want it to arrive as scheduled and in good shape. That’s the intent of the DGF model. Investors let DGF managers decide how and when to invest—whether it’s in hedge funds, currencies, private equity, emerging markets equities, junk bonds or derivatives, for example, as well as in traditional stocks and AAA-rated bonds. It comes as no surprise that DGFs have been dubbed “hedge funds lite.” In terms of fees, Buck Global Investment Advisors found they currently charge more than mutual funds, but less than hedge funds. They also don’t have the long lock-up period often associated with hedge funds. In the multi-strategy fund model, by contrast, the investor retains much more authority. To continue the analogy, the multi-strategy investor tells the delivery service which interstate highways to take across the country, with strict instructions not to deviate. In other words, the portfolio’s assets will be allocated to, and remain with, an array of sub-managers who are skilled in their area of expertise, be it long-short equity, convertible bonds, value plays, etc. DGFs have been a hit with small- and medium-size pension funds in Britain, and it’s easy to see why. Generating enough return to meet their pension liabilities has become a huge challenge for pension funds. Bond yields are low, and the saw-toothed equity markets of recent years have rattled nerves. At the same time, the menu of asset classes available to chief investment officers has lengthened, and what was once exotic cuisine is now standard fare. Each new asset class represents an opportunity, but it also requires a new level of expertise. Even the largest institutional investors find the education process daunting. A DGF’s offer of instant diversification with one manager has obvious appeal. It’s still early days for DGFs, and assessing this class isn’t easy. Each DGF has a different blend of assets, so no common benchmark exists. It remains to be seen if American small- and medium-size pension funds will find DGFs as appealing as their British counterparts do. Are DGFs the next hot import, or the investment community’s equivalent of Marmite (a vegetable extract that Brits like to spread on bread and crackers, to the puzzlement of their American cousins)?